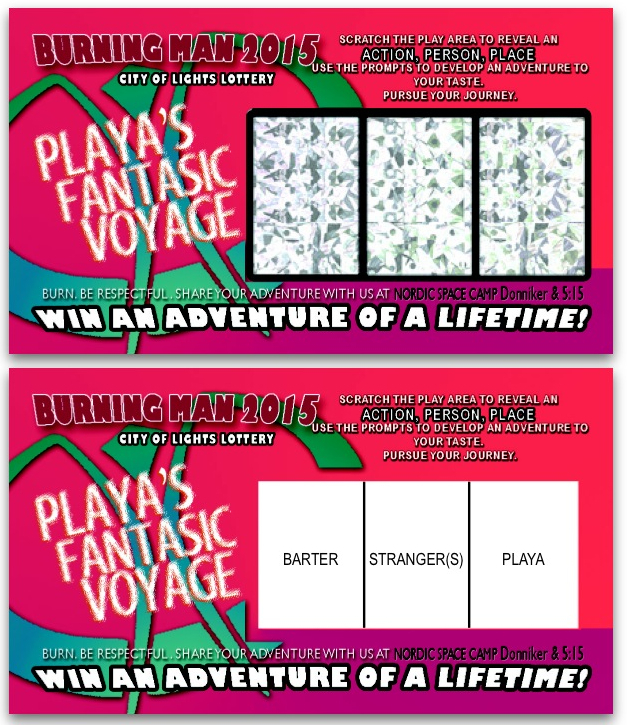 The Lottery Cards, are scratch-off interactive adventure prompts that replace the monetary prize with what could be an adventure of a lifetime; based on the adventurer's ambition and the journey they embark. 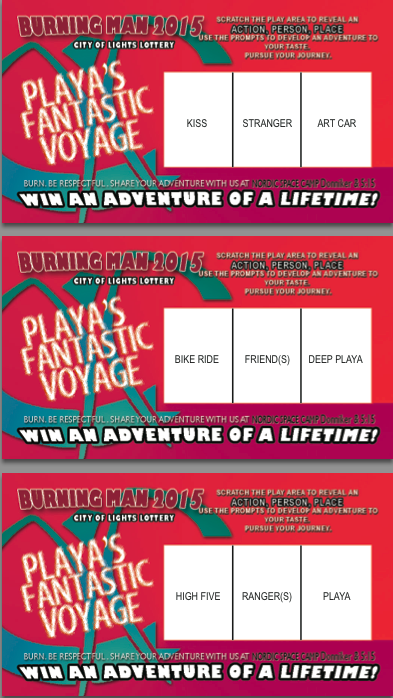 Each ticket is composed of a set of three general prompts, an action, a place and a person to which the adventurer uses to develop a journey to their desire. Promotion and encouragement of interaction and experiences among the recipients, of the cards, and those who they met along the way of their journey was the core goal. "Happiness! It is useless to seek it elsewhere than in the warmth of human relations" - Antione de Saint-Exupery. Lotto Cards, attempts to encourage the enhancement, interaction and experience of one's surrounding with a few words on a colorful shimmering card.